I downloaded this software and I tried to make it portable (i.e. use it without installation). 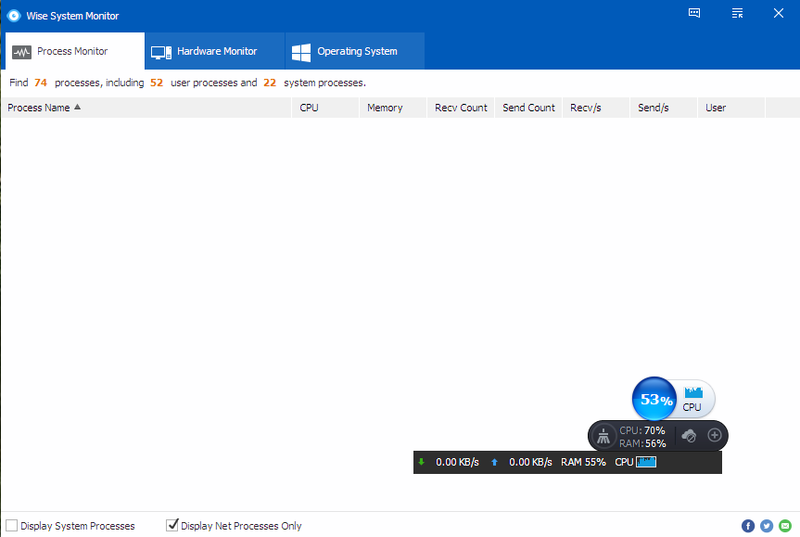 I achieved my goal, but I'm unable to see upload/download speed and components' temperature: the graphs are empty. Other functionalities (RAM usage and CPU usage) are shown without problems. Is possible to create a portable version of this program or I'm forced to install it? I already did this request too (also for the other programs). It could be interesting for all (or at least for me) how you did it! you can make your portable version of lots of programs by using an extractor (you can use Universal Extractor). Drag&drop your installer inside the extractor and it will create a portable version of program. NB: not all program can be made portable; for some of them you cannot do anything and you have to install them. Hope this will help you, I wait suggestion about my "problem" (can you make a portable version of WSM where you can see upload/download speed?). There are some tech problems that we cannot create a portable version of Wise System Monitor. We are trying to solve them. I'll wait further information about this. I found some bugs. Take a look to Screenshots. I'm just going to translate the program into the German language. Some things I'm not sure what they are intended to mean. What u mean with "Registered Org" ? Org for Organisation? Graphic Card Activity Percent 0. - Means Graphic Card activity in Percent (%) ? 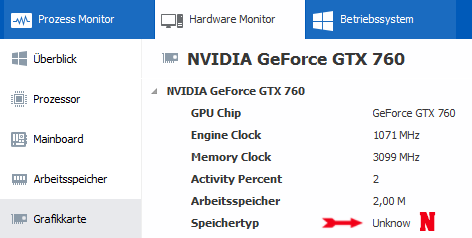 Engine Clock is GPU Clock? Is it the latest version v1.29? I have another one. Under Network Adapter..... Oper Status = Operation Status? I was modifying usercustom.ini, emule was running. The developer team are working hard to solve it. I searched a bit and this seems to be an error present only on windows 10. 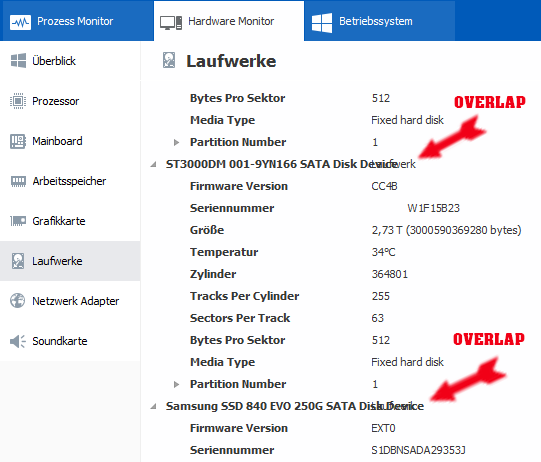 Well, I found It's not only on win10. My win7 x64 got same problem here. I also found that It will cause BSOD even if it's not running. I guess it's because the TDI driver is already loaded. I forgot to write I'm using UAC maximum setting (always notify). Did you also set it that way? Xilolee: No, just default UAC setting. 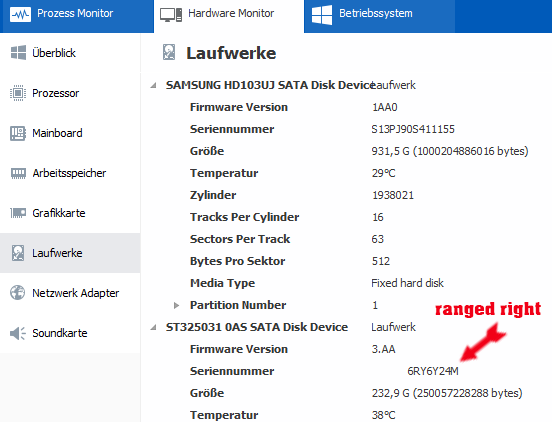 Wise System Monitor may incompatible with some hardware. Can you give us your hardware info? Although I uncheck the option "Starting with Windows" the program continues to run each new PC boot. When you uncheck the option "Starting with Windows", you can open Windows Scheduler Task to check whether the task named Wise System Monitor.job has been removed. In Windows Task Scheduler there was permanent. Deleted manually and now it works normally! I have installed WiseSystemMonitor(WSM) v1.41.1.36. In floating window and main too, I didn't see download and upload speed and record;and Display Net Processes Only. I can see it when I run WSM for first time,after that none. I have a Net connection settings properly. Thanks for your time and support.Kind regards. We will check and fix it shortly.